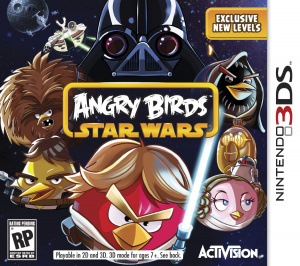 Sorry, no review of Angry Birds Star Wars yet. 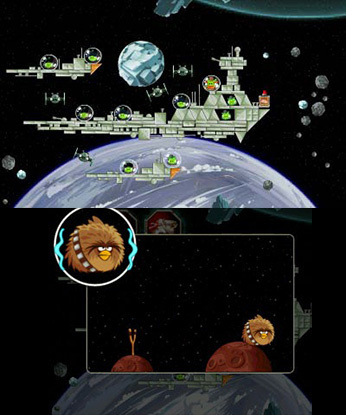 In a galaxy far, far away, Rebel Angry Birds are flocking against the evil Imperial Pigs to save the universe! Rebel spies have uncovered secret blueprints for the Pig Empire's ultimate weapon, the Pig Star, and launched a plan to stop the porcine menace. 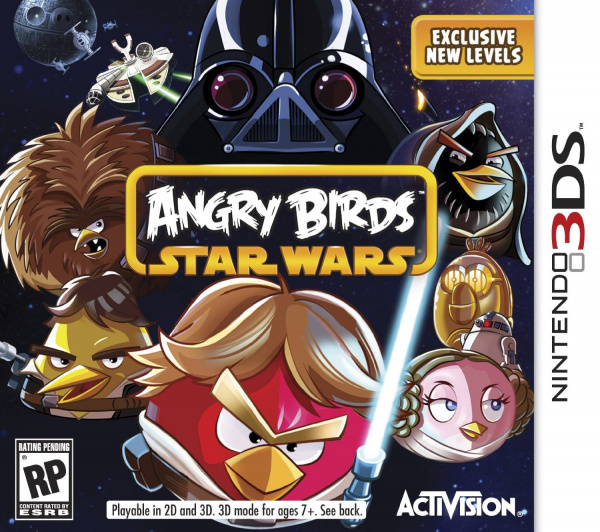 Join the Rebellion and help strike back at the Empire in Angry Birds Star Wars on Nintendo 3DS! See Luke Skywalker, Han Solo and Darth Vader in a whole new flight! 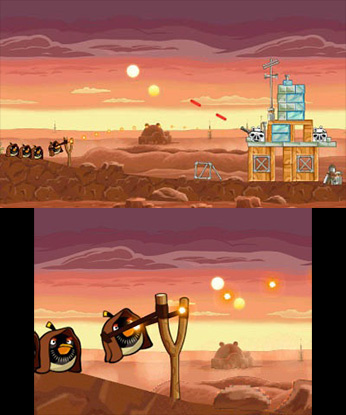 Paying homage to the stories of the Star Wars universe, Angry Birds Star Wars features a fleet of familiar, feathered faces and iconic locations such as Tatooine and Hoth. 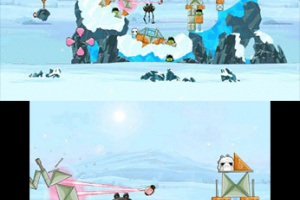 After take-off, each character can unleash their own special skill: Chewbacca can barge through enemy strongholds with his superior strength, while the Empire falls fowl of the Force whenever Luke Skywalker swings his lightsaber. 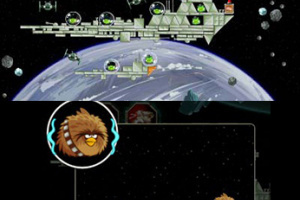 With over 200 levels, including 20 console-exclusive stages, there's plenty to peck away at in Angry Birds Star Wars. 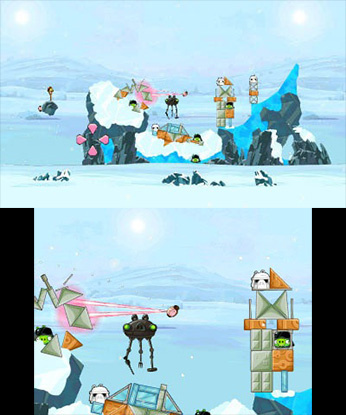 Play multiplayer for the first time in the series: combine forces with a friend in the two-player cooperative mode to shoot for a high score, while up to four players can battle for the fate of the galaxy in competitive play. 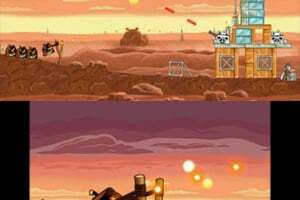 And if it's droids you're looking for, seek out the R2-D2 and C-3PO bonus content.